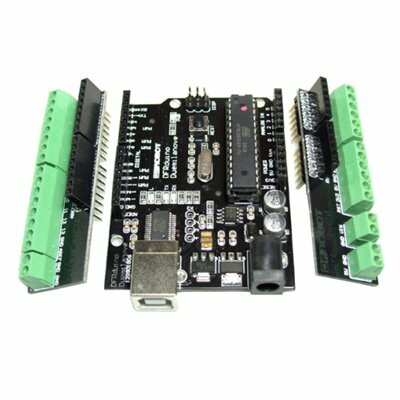 The DFRobot Arduino-Compatible Screw Shield is a terminal expansion board that can be screwed directly to the terminal on the thread and is reliable and convenient. It can be plugged into the Arduino controller. You can use this shield to save yourself from the bad port connection. Feel secure with this arduino-compatible screw shield. Get Screw Shield For Arduino (SKU: DFR0060) from DFRobot Store or DFRobot Distributor.